Separation Anxiety is a panic attack; it is a fear of being left alone or abandoned. No other behavioral issue has the impact that canine separation anxiety has on dogs and their people. 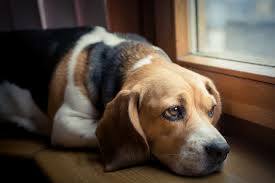 Separation Anxiety is a devastating condition that affects 15% of the 70 million dogs in the United States. People who live with and love dogs suffering from Separation Anxiety often feel trapped in their own home, or guilty knowing their dog is suffering when left home alone. The signs of Separation Anxiety can vary from one dog to another. Typical Signs of Separation Anxiety can include excessive barking, whining or howling, drooling, inappropriate elimination, chewing on household items, chewing and scratching at doors or window frames, as well as pacing and excessive panting. Attempts to escape from kennels, crates or homes, as well as self-mutilation, can also be seen when left home alone. Separation Anxiety can have numerous underlying triggers. It can be caused by a nervous or anxious disposition or by a scary experience when left home alone, such as a severe thunderstorm or loud construction work being done nearby. It can also be triggered by changes in the home environment such as someone moving in or out, a move of residence or a change in schedule. Dogs who are rehomed can also be susceptible to Separation Anxiety. Separation Anxiety is best treated remotely. When helping your dog overcome Separation Anxiety the goal is to get you out of the house. By using technology like Skype or Zoom we will be able to accomplish much more than we could if I were there in person. Remote training will allow me to be right there with you via live camera to observe your dog in real time. This will allow me to give you customized daily training plans that fit your dog’s individual and progressing training needs. This accentuates progress. Don’t worry if you’re not tech savvy. It’s easy and I will help you every step of the way. Remote training makes it possible for me to work with clients across the country or around the world without any compromise of progress at all. Living with a dog who suffers from Separation Anxiety can be exhausting. I can help you and your dog find relief from the suffering. From the very beginning of your customized Separation Anxiety training program, there will be an end to your dog’s suffering. No more neighbor’s complaints or landlord’s eviction warnings, no more destruction. This peace of mind frees you to focus on creating lasting change. Once you complete and send me the Contact form I will contact you to schedule a free, no-obligation initial phone consultation. This call will generally take 20- 30 minutes and will allow us to get acquainted. 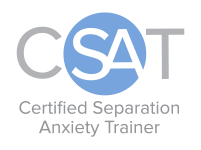 It will also allow you to get acquainted with how Separation Anxiety training works before engaging in a life-changing program with me. Although some whining, crying, and mild distress is normal when puppies are becoming acclimated to their new families and homes, extended or intense whining, crying and distress is not. The old adage of just let them cry it out is greatly outdated. Scientific studies have shown that letting puppies whine and cry in extreme distress can actually cause lifelong psychological and emotional damage. Helping puppies overcome Separation Anxiety takes specialized skill and attention that only comes with the specialized training and experience of a Certified Separation Anxiety Trainer. If you think your puppy is suffering from Separation Anxiety contact me today to discuss your unique situation and learn how I can help. W H A T C L I E N T ‘S A R E S A Y I N G . . .